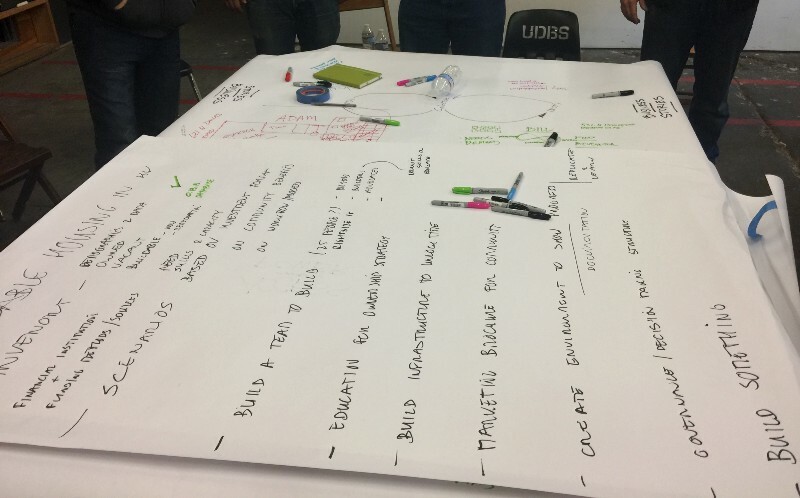 As part of our ongoing research into the broader issues concerning the Pittsburgh community, my design team decided to attend a “Hackable City” workshop co-hosted by the CMU Urban Design Build Studio, Construction Junction, and Matthijs Bouw from One Architecture. To my surprise, Bouw is associated to The Mobile City, a research group from The Netherlands that publishes excellent research on how digital technologies influence urban life. I had been reading their newsletter for many years, but had not interacted with their work beyond that. Bouw set the tone for the workshop by giving a short introduction about their work and a tentative topic he’d set for the workshop: Economic Resiliency. Referring to the following diagram, he identifies institutions, collectives, and individuals as three components of a framework necessary to sustain bottom-up empowerment. 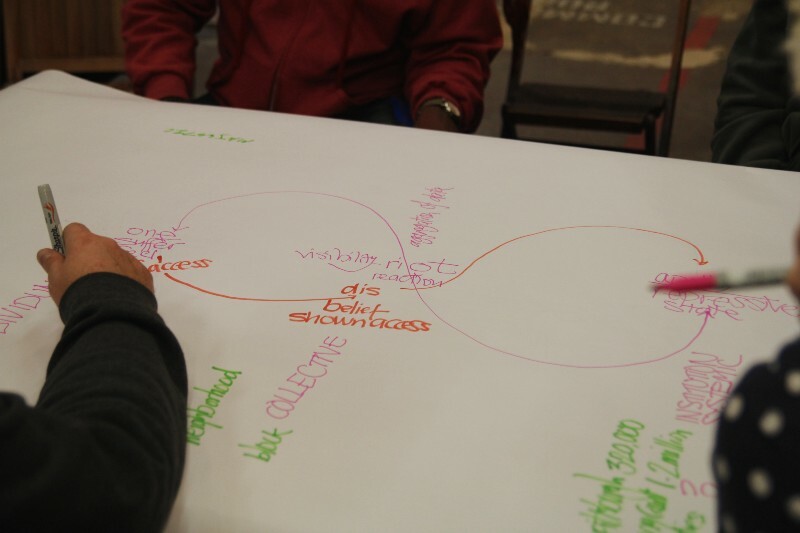 In this model, individuals tend to organize into collectives, run and led by citizens who branch out from their primary careers as designers, doctors, engineers to work as community organizers, fundraisers, storytellers, project developers, etc. 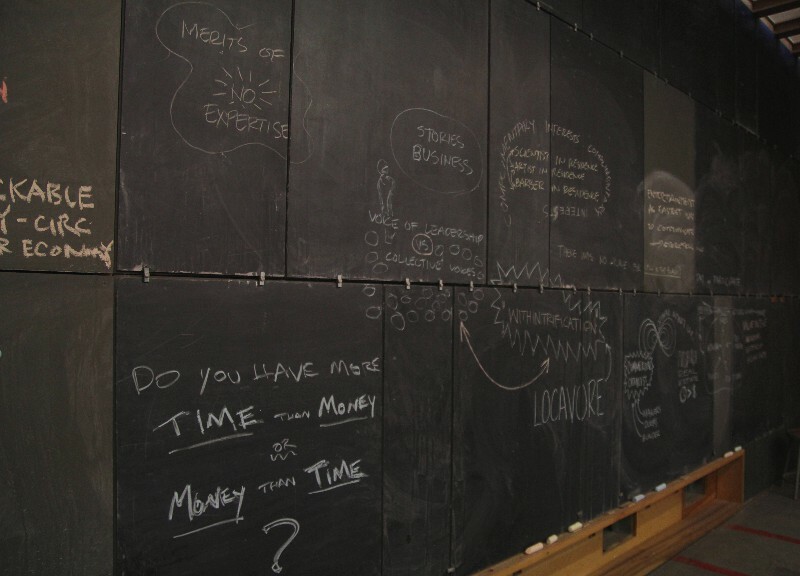 The question from the Hackable City team is: how can government and administrative institutions learn from the initiatives taken by these collectives, and adjust accordingly to support or engage their work? Does this model have a place in Pittsburgh? The luxury of time is necessary for civic engagement. Mary-Lou Arscott, professor at CMU School of Architecture, mentioned that it was extremely hard to get folks from a certain community in Pittsburgh to participate to build a community garden. It wasn’t out of lack of interest, many community residents work 2–3 jobs and simply do not have the time to participate civically. “Put the value of wealth inside of a person not around them,” commented Adam Paulisick, Chief Product Officer at Commerce Signals, when commenting on why home ownership was important. Even if you have an entrepreneurial mindset, you need a network. Entrepreneurship doesn’t happen in a vacuum. 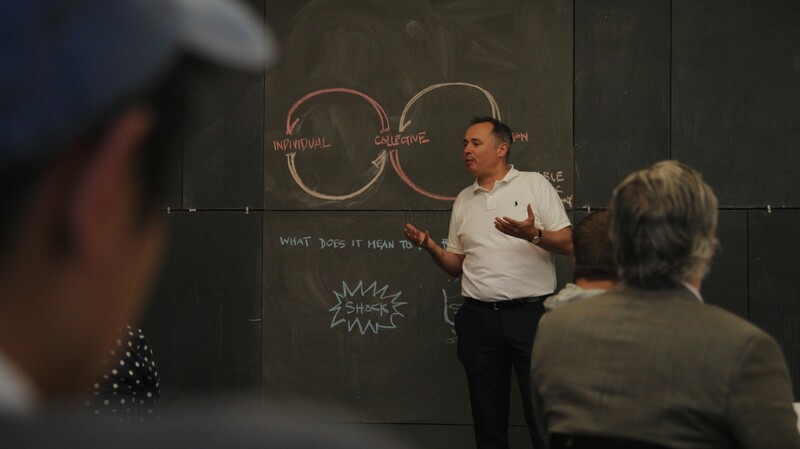 How do we create mentorship to foster entrepreneurship in communities that lack a network? “Withintrification” as preferable to gentrification: when people living in a neighborhood are involved in its improvement. 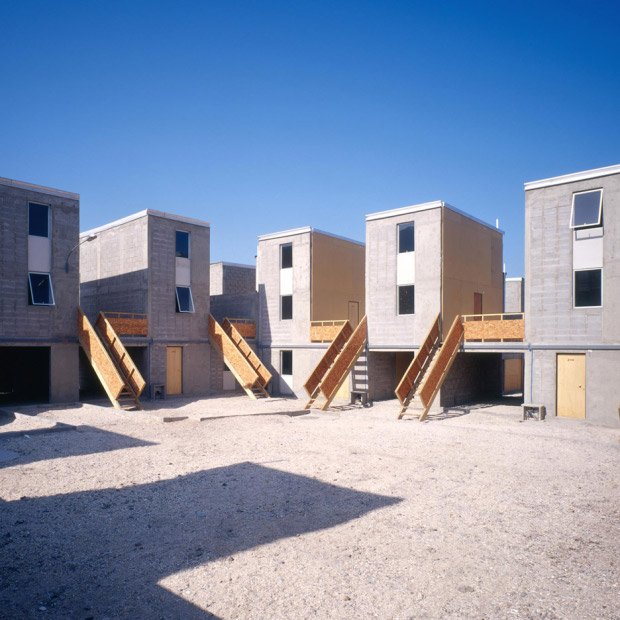 For ventures that are hard to fund (like a community-built house) reverse the question: instead of asking who funds it, ask who is excited enough that they would pay for this? 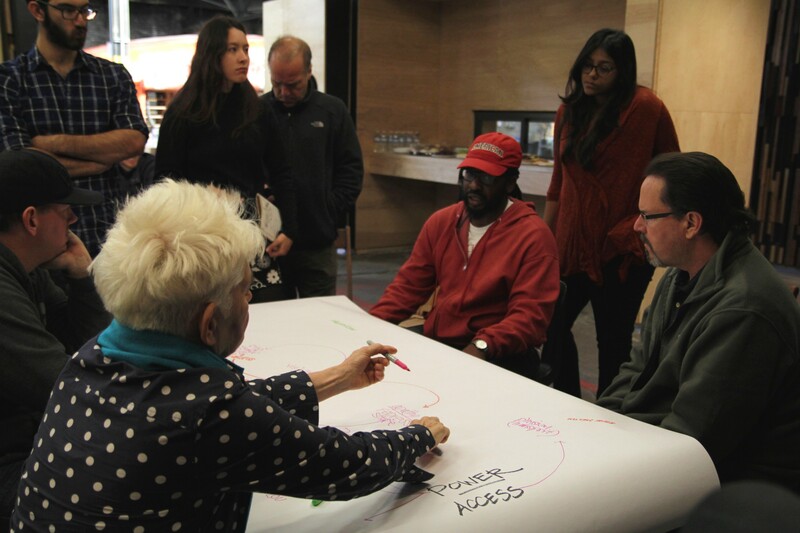 The workshop was truly more of a conversation but it led us to discuss the idea of community-built housing, whether it was possible to create a model wherein residents are supported in building their own housing. 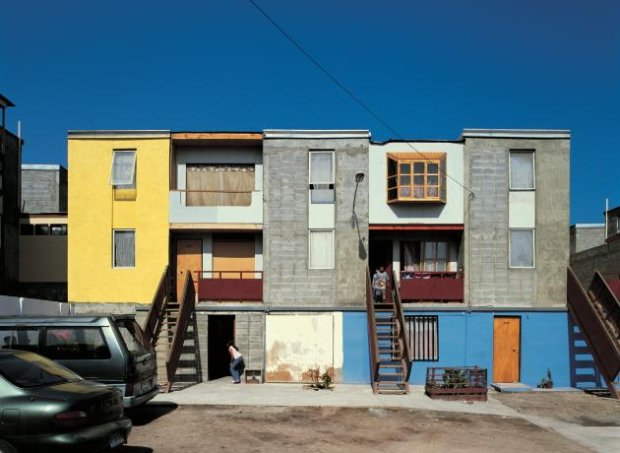 In turn this led me to think of Alejandro Aravena’s work, a chilean architect who recently won the prestigious 2016 Pritzker prize for creating “half-built homes”, low cost dwellings that are meant to be finished by their inhabitants. 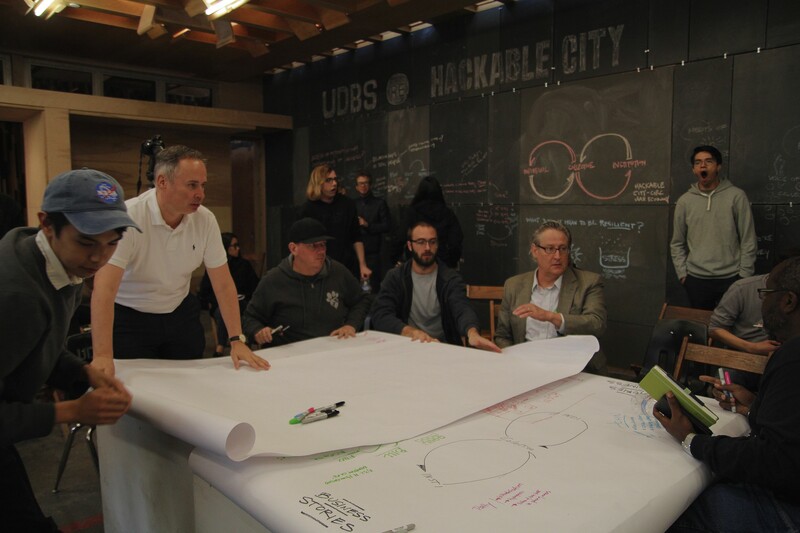 We’re not yet sure how the workshop will play into our design considerations, given we are still in the exploratory phases of a project aimed at creating impact in Pittsburgh. In the meantime, we have many leads to follow from the discussion.